Harry Sholom Moskovitz was born on February 5, 1894 in Philadelphia, PA. His father, Hyman Moskovitz, was born 1871 in Kiev, Russia. His mother, Esther Kallick, was born 1873 in Kiev. His parents married in 1893 in Kiev and then came to America. They had seven children, of which only five survived infancy, Harry (b.1894), Lillian (b.1899), Ethel (b.1901), Philip (b.1903), and Sophia (b.1906). The family lived at 1932 Fourth Street in Philadelphia. The father was a tailor at a clothing factory. In 1906, age the age of eleven, Harry Moskovitz began to take drawing lessons at the Graphic Sketch Club, which is America's oldest artist's club. 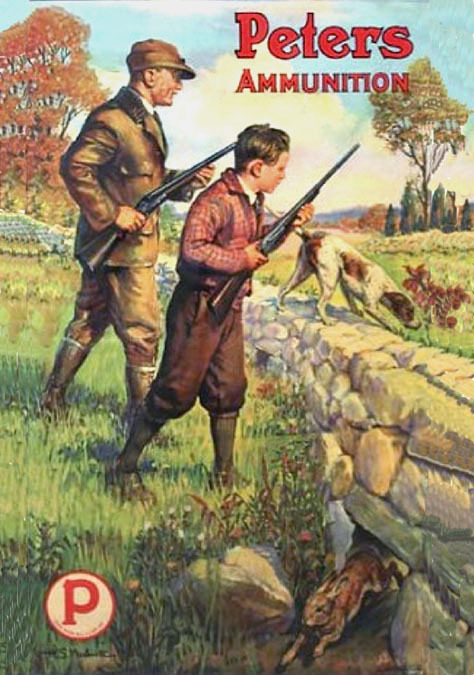 It still exists today and continues to offer the public affordable art lessons. In June of 1910 Harry Moskovitz graduated from high school in Philadelphia. On June 1, 1911 he was awarded a $10 Prize at the Philadelphia Museum of Art, School of Applied Art. 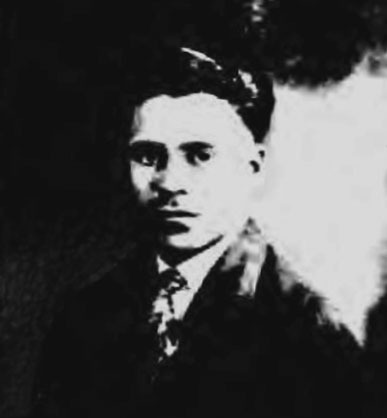 In 1915 he was working as a commercial free-lance artist, while living with his family at 3954 West Girard Avenue. On July 18, 1918, during the Great War, Harry Moskovitz was drafted into the Army. He served as a private in Company D, 54th Pioneer Infantry. He did his basic training at Camp Wadsworth in South Carolina, and was sent overseas, where he fought in the Meuse-Argonne offensive. He then worked as an art instructor at the Army's Educational Center in Coblentz, Germany, for which he received a government citation. He was honorably discharged on July 10, 1919. After his service, he remained in Europe to study art at the Hilde School in Germany. After six months he traveled to France, where he studied at the Beaune Art School in Paris. In 1920 he returned to Philadelphia and resumed his art career. He lived with his parents and four siblings at 3916 Gerard Avenue. In 1923 Harry Moskovitz married Florence Suthland. She was born on February 22, 1896 in Philadelphia of Latvian Jewish ancestry. She worked as a stenographer at an insurance company. The newlyweds moved to 6242 Larchwood Avenue in Philadelphia. They had no children. During the 1920s the artist worked as a free-lance artist. 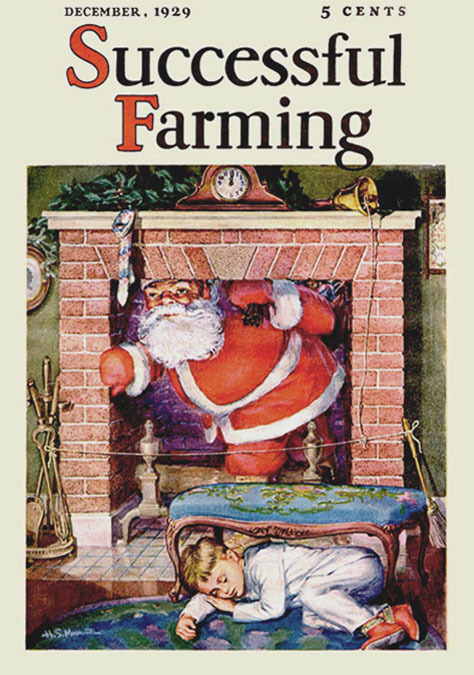 His work appeared in advertising, and on covers of Country Gentleman, Good Hardware, and Successful Farming, all of which were published in Pennsylvania. 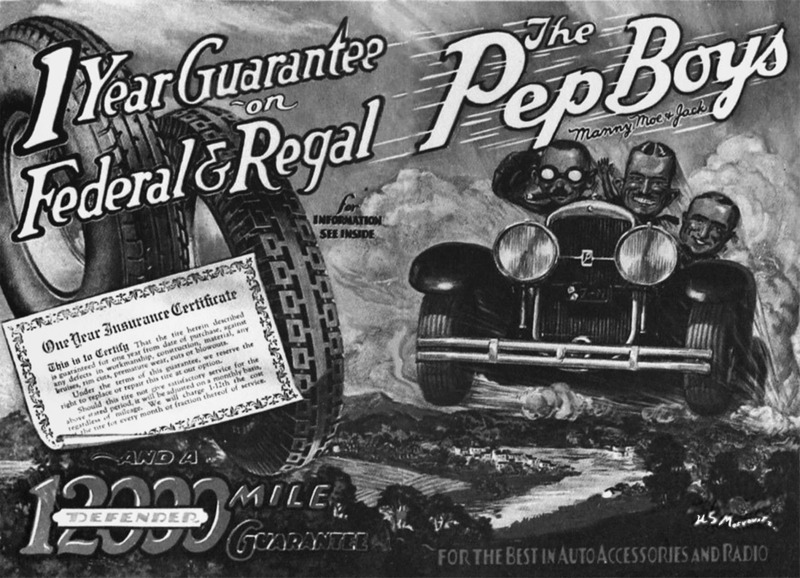 In 1925 he designed the original advertisement for the three Pep Boys, a local auto-parts supply company. The Pep Boys ad became an iconic graphic image that continued to appear in print for over six decades. In December 28, 1927 the artist's father, Hyman Moskovitz, died at the age of fifty-six in Philadelphia. 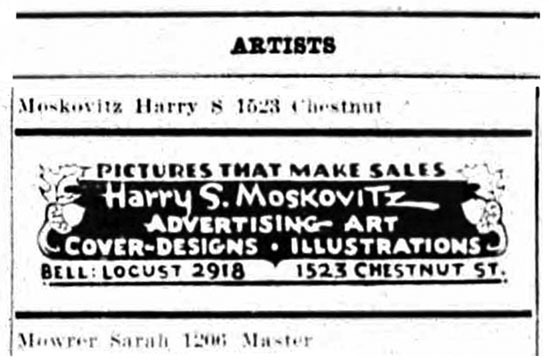 The 1928 Philadelphia Business Directory listed Harry S. Moskovitz in his art studio at 1523 Chestnut Street., while his home residence remained at 6242 Larchwood Avenue. In 1930 his widowed mother, age fifty-three, lived with her four younger children at 6023 Christie Street in Philadelphia. 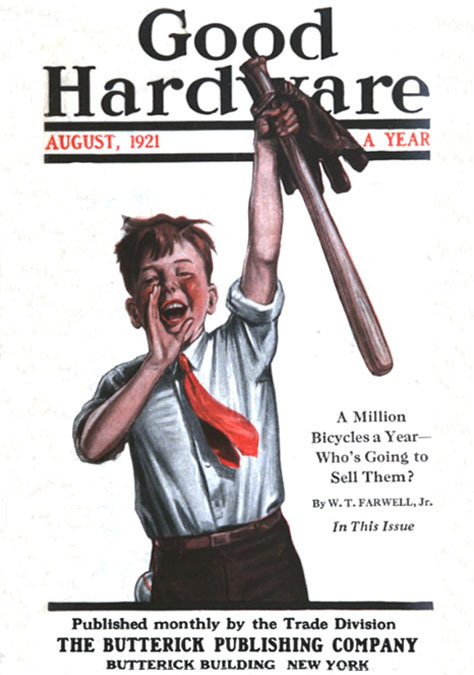 During the Great Depression hard times brought bank failures and defaulted business loans to many manufacturers, which devastated the advertising and publishing industries. 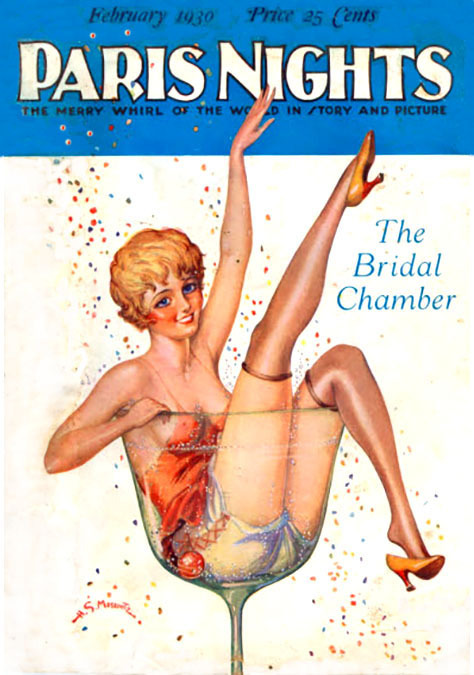 One of the few businesses that earned high profits were the publishers of pulp magazines, which sold cheap thrills to the masses for pocket change, and had no reliance on advertising income or subscription sales. 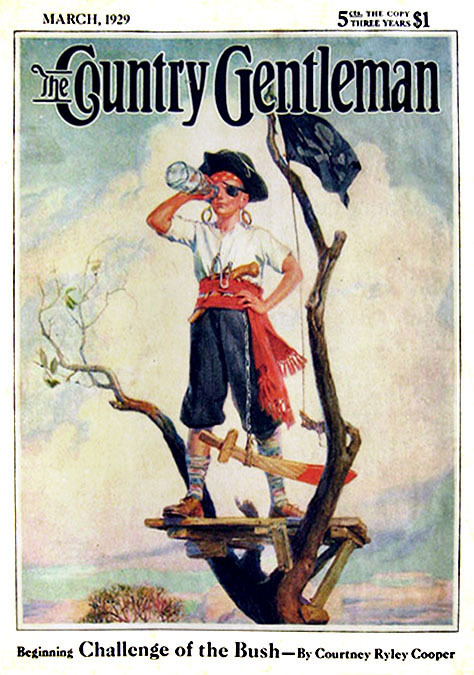 The only publisher of pulps in Philadelphia was the Shade Company, which was owned and operated by John Henry Shade (1869) and his son, John Shade, Jr. (b.1901). The company was affiliated with Moe L. Annenberg, who owned The Philadelphia Inquirer, and Paul Sampliner, who owned Eastern Distributing of NYC. Together they formed the Shade News Distributing Company and Associated Authors at 201 North Broad Street in Philadelphia. Advertising was handled by Combined Publications of NYC at 125 East 46th Street, which was the office of Paul Sampliner. Other Philadelphia artists who worked for the Shade News Distributing Company and Associated Authors were Hugh J. Ward and Zoe Mozert. 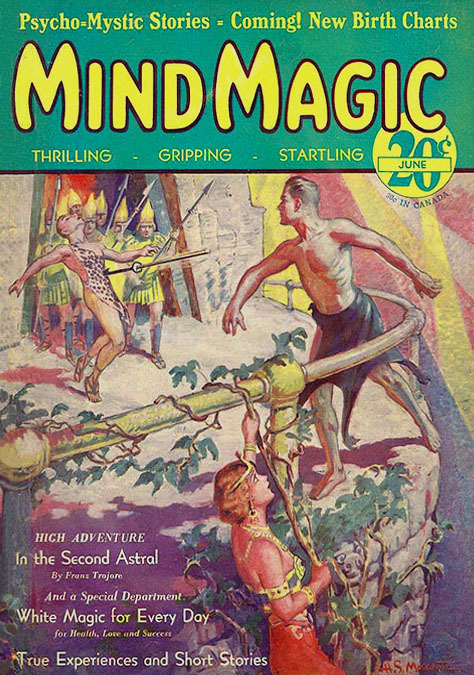 Harry Moskovitz painted pulp magazine covers for Paris Nights, Gayety, My Self, Mind Magic, and Breezy Stories. 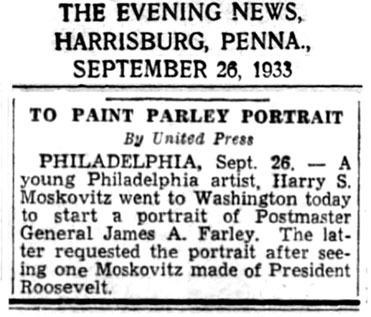 On September 26, 1933 The Evening News reported, "Philadelphia artist, Harry S. Moskovitz, went to Washington today to start a portrait of Postmaster General James A. Farley. 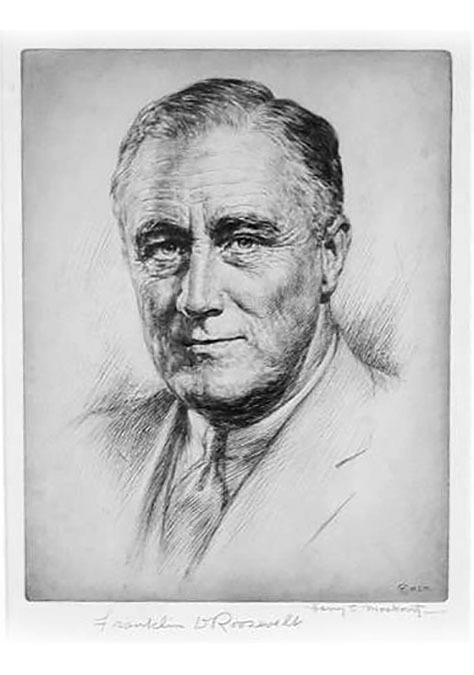 The latter requested the portrait after seeing one Moskovitz made of President Roosevelt." On July 27, 1936 Harry Moskovitz rented an art studio at 1001-11 Chestnut Street in Philadelphia. In 1940 the artist and his wife still lived at 6242 Larchwood Avenue in Philadelphia. His widowed-mother (age sixty-three) lived with her two unmarried daughters, Ethel (age thirty-nine) who worked as a typist, and Sophia (age thirty-three), who worked as a stenographer, at 1313 Rascomb Avenue. 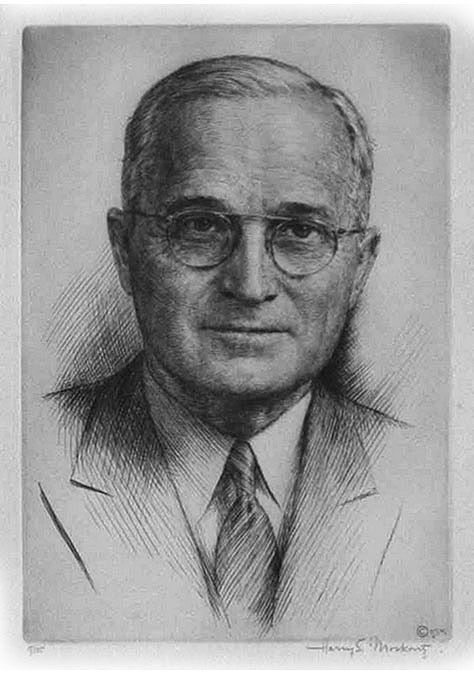 On April 27, 1942, during WWII, the artist registered with the selective service as required by law for all men between the ages of eighteen and sixty-five. At that time he was recorded to have been age forty-eight, five-six, 150 pounds, with brown eyes, brown hair and a dark complexion. After WWII the artist mainly worked as a portraitist. His subjects included President Harry S. Truman, the stage and screen actor, George Arliss, and the first President of Israel, Chaim Weizmann (1874-1952). 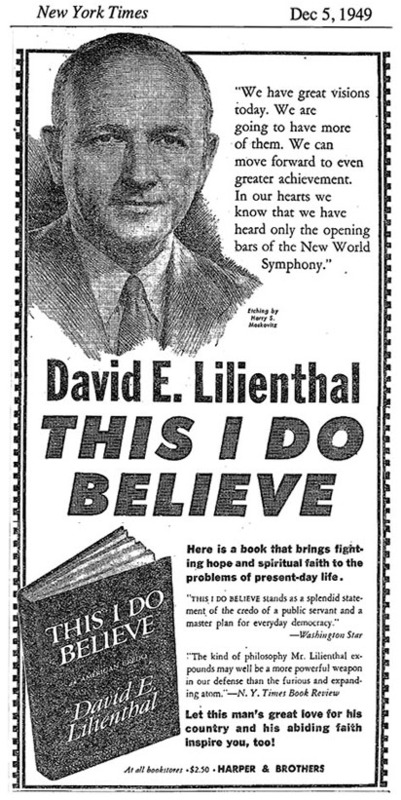 During the 1949 Christmas season newspapers nationwide published advertisements for a popular book, "This I Do Believe" by David E. Lilienthal from Harper & Brothers Publishing, which featured a portrait of the author by Harry S. Moskovitz. 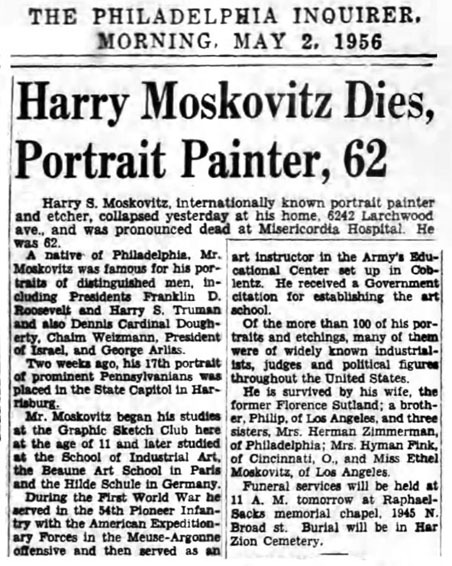 In November 9, 1954 the artist's mother, Esther Moskovitz, died at the age of seventy-seven in PA.
Harry S. Moskovitz died at the age of sixty-two from a heart attack on May 1, 1956. His wife, Florence Rutland. 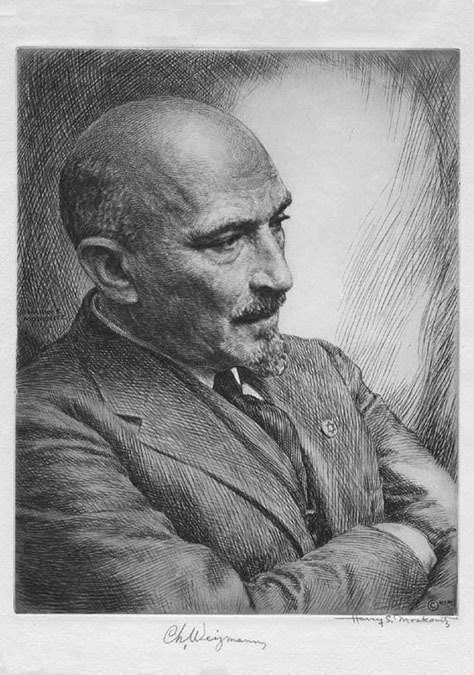 Moskovitz, died at the age of one-hundred-and-three on January 21. 2000.